If advisors want to be a part of the discussion on the SEC's third-party exam rule, now's the time,Troy Paredes said at MarketCounsels summit. 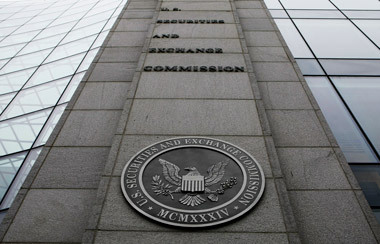 Troy Paredes, a former commissioner at the Securities and Exchange Commission, challenged advisors Tuesday to air their concerns about the SEC rule in the works that would require them to get a third-party audit. SEC Chairwoman Mary Jo White as well as the current director of the agency’s Investment Management Division, David Grim, have said publicly a rule is being drafted, so this is “not just inside the beltway policy debates, this is real stuff and decisions get made and new rules get put into place,” Paredes said. “Do you want to be part of that discussion to inform us?” adding that he would have “benefited” from hearing more from advisors about their concerns. Norm Champ, the former director of the SEC’s Investment Management Division, who sat on the panel with Paredes, reiterated his concerns about the agency’s plan to promulgate such a rule as it would be costly for advisors. “What are they [the third-party audit firms] going to examine?” Champ asked. “If they examine everything, that will be expensive for the advisor.” He stated that the 200 examiners at the agency who monitor broker-dealers should be shifted to advisor exams. White said in early April that among rules the agency would consider “advancing” this year was one to require a program of third-party advisor exams. Andy Wels, regulatory counsel with MarketCounsel, told attendees at the event that CCOs “have a target ” on their backs, citing New York Governor Andrew Cuomo’s recently announced plans to propose rules that would clarify and expand the responsibility of New York State banks to thwart money laundering. The new rules, according to the New York Times, would force a chief compliance officer to certify that a bank maintains systems to “detect, weed out and prevent illicit” money transfers. “If compliance officers file an ‘incorrect or false’ certification, they could face criminal charges under the rules, a rare effort to hold financial executives criminally liable,” the Times reported. Wels told MarketCounsel attendees that if the legislation passed in New York, it would be a “game changer” that changes the enforcement landscape for compliance officers. Greater CCO scruntiny, he said, “is a theme coming out of Washington” as well. Issues that would have been dealt with in a deficiency letter are now being referred to enforcement, Champ warned. Champ, who’s now a consultant and lecturer at Harvard Law School, reminded attendees that the SEC’s Office of Compliance Inspections and Examinations is now operating in a risk-based program. “There is no more cycle” of exams at OCIE. “That is gone; it is all about risk based now.” Really two categories of OCIE exams: “quick visits to special categories [of advisors] and risk-based” exams. — Check out DOL Out of Bounds With Fiduciary Rule: Bachus, Kotz on ThinkAdvisor.